During our 2016 Tour we traveled more than 20,000 miles, starting in the US and traveling to Germany, France, Spain and Portugal. An amazing 16 day trip. 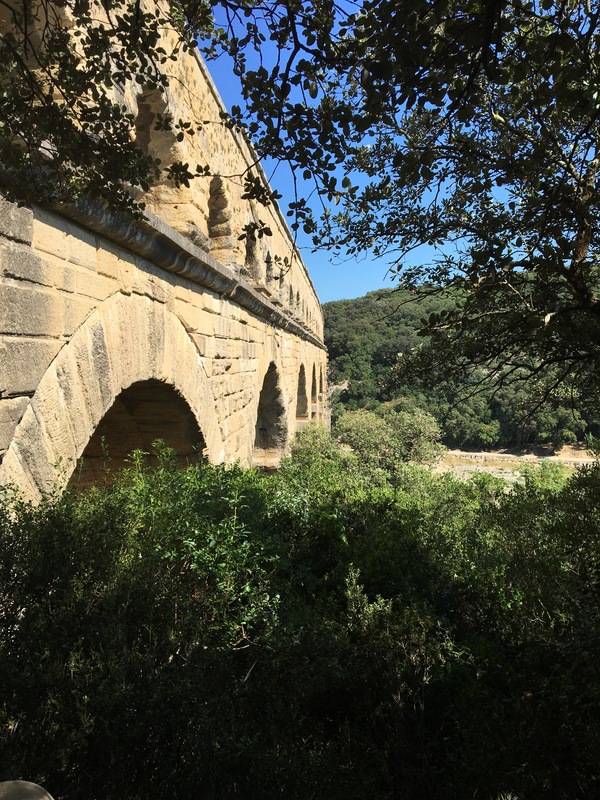 June 24,2016 After the long day of the June heat of Avignon, France we journeyed to the ancient Roman Aqueduct – The Pont du Gard. A large portion of the group joined the locals down at the river and took a little dip in the cold water of the Gardon River. I wish we had known that to walk across the top of the structure a reservation must be made. Still – a lovely treat on a long journey across France.